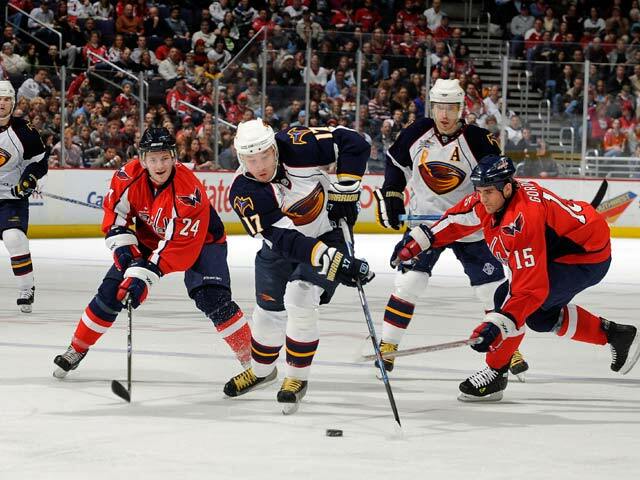 WASHINGTON (AP) -The Washington Capitals still have hopes of making the playoffs, however slim their chances might be. Atlanta took a 1-0 lead when Slava Kozlov's slap shot beat a screened Olie Kolzig at 11:41 of the first period. Ovechkin scored just 4 seconds into a power play at 1:07 of the third. Notes: Atlanta C Todd White missed his sixth straight game due to a shoulder injury. ... 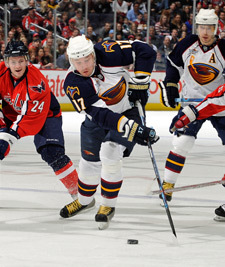 The Thrashers had just two shots in the first period, equaling a season-low for the fifth time this season. The 12 shots the Capitals allowed were the fewest of the season, and just one more than the franchise record. ... Washington recalled D Sami Lepisto from Hershey (AHL). He recorded his first NHL point with an assist on Laich's second goal.